Imagine side A of Rubber Soul being performed by the genuine Fab Four and side B as a new project of McCartney & Harrison supported by Carol Kaye and Hal Blaine. That would be a whole different ball game, right? Interesting, to say the least! Incoherent but fruitful, no doubt. 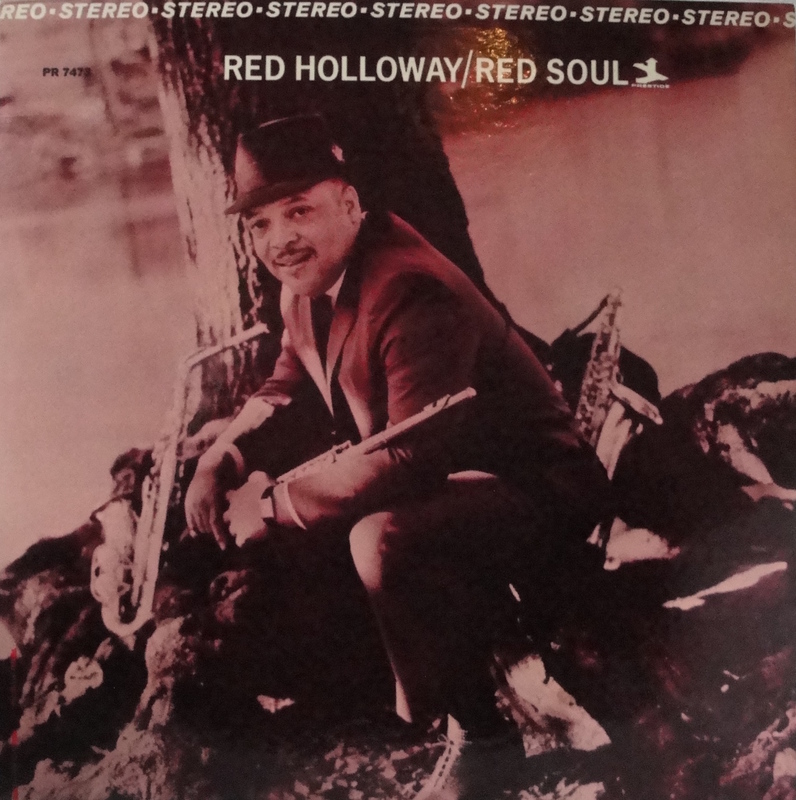 Red Holloway’s Red Soul is a jazz equivalent of the ‘alternative’ Rubber Soul. It uses two differing line-ups and as a consequence lacks a unified atmosphere. It has to be said, however, that both groups deliver two solid ‘mini-albums’. The organ combo of side A concentrates on the blues, expertly so, and avoids dead end streets by adding some delicate touches to the compositions. Making Tracks, for example, makes use of a chromatic descent in the eleventh and twelfth bar, creating a welcome tension. There’s rhythmic variation as well, as the funky blues beat of Movin’ On and the break-filled theme of Good & Groovy demonstrate. Red Holloway shows his capability to carry such tunes. He’d been sharpening his razors in Brother Jack McDuff’s group for two years and a half years prior to recording Red Soul; McDuff (and drummer Joe Dukes) really pushed sidemen such as Holloway to the groovy limit. On this occasion, the combo is not so fiery; it’s excellent, but their sound is thin. Its atmosphere is identical to Lonnie Smith’s debut album Finger Lickin’ Good, that had George Benson (who of course had also been with McDuff) aboard as well, who on Red Soul seemingly off the cuff hands out more than a handful of bluesy goodies. Side B is jazz of a different band and nature; only Benson remained. Its sound and style is interchangeable to that of the late fifties. That doesn’t mean it’s a disappointment. It consists of uptempo, swinging tunes driven by Holloway’s hard-edged but fluent tenor, yet it’s the lone ballad, A Tear In My Heart, that is the session’s centrepiece. Bordering on a ‘cri de coeur’ played by a man accustomed to romantic bankruptcy, Holloway’s suave yet solid tenor work is heartfelt. Holloway was around as a freshman in the late fourties and it’s heartening to hear that musicians like him transported the beauty of swing to the next decades. Both groups on Red Soul have a nice enough rapport. In the album’s liner notes Red Holloway put across his intention of showing two sides of the Holloway coin. It created a bit of a mixed bag, but one filled with satisfying efforts.